I have had this for two tears now. I bought it at a gas station for $2.99. The first battery was a no name alkaline and lasted a full year. It has a low 2 led and high 6 led switch. The best part about this little light, It's been through the washing machine twice! Even the dryer once. it still works great. Is it bright? 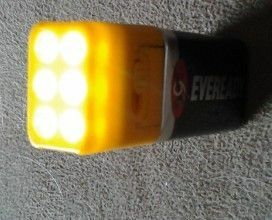 I use it to shine up into the fifth wheel to see it is fully locked. I check the brake chambers and the slack adjusters on the trailer. I hold it in my mouth to see and write the hub mileage in my notebook when doing a drop and hook. It's plenty bright enough for an overnight truck drivers use. I have it in my watch pocket always and do not know it's there, even sitting and driving 280 miles straight. It's the best little light I ever owned and was a great value for what it cost. I guess it's called a Blocklite. This is black and $8 but is identical, Mine is probably a Chinese knock off. Re: 9V L.E.D. watch pocket light. That looks pretty cool! Never seen one, or I think I would have one too. Thanks for sharing that. I will have to look a bit more closely when I am in a section that has flashlights. Although, I have quite a few... I will get one, if I see one. I always wanted a pak lite but couldn't see the cost. I also think this is a better built unit. As per the Bold above... I can't either... So , I will wait to see a model in the price range you found, or stick to the little lites I currently use. I do not need a light like that, THAT badly, to spend that amount. Pretty cool. $3 is a steal for a dependable light like that. I'd be tempted to put some electrical tape around the connection there, though. I'm a worrier, I guess. That is neat! Thanks for the link. Why electrical tape? what worry do you have that I may be missing? It is a tight fit. It doesn't "fall off", You have to wrench on it pretty good to change batteries. I'm sure it's fine. Maybe what I should've said is, that's what I'd be tempted to do, even if it wasn't necessary at all. No offence meant. I generally overdo or overbuild stuff. I get it from my dad, I think. That's a nice little light. Gotta get me one of those! Thanks for letting us know. I tend to take care of my stuff, but with that being said, how do you think these would fair on a float trip? I take an annual 3 day/2 night float trip here in MO on the Black River. We make camp on the banks where ever we want and have a good time during day. A handy little light would be a nice addition but maybe this isn't the best application? Any input would be welcome. Speaking as someone in the lighting business, I believe all LEDs are imported from China. Doesn't matter what company you buy from. Some products are generic and companies contract them from Chinese companies, brand them as their own, and sell them. 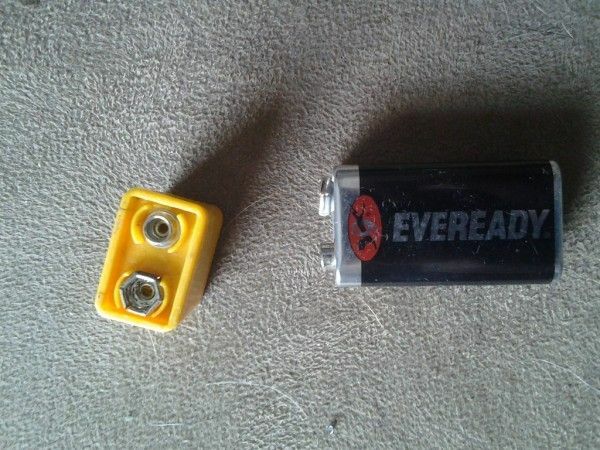 Some products are not chinese but the LEDs themselves are made in China. This applies to consumer goods only. Commercial products, and a few specialized architectural companies make their own LEDs, but nothing that someone would buy to carry around. Bottom line is, if you see something on Ebay or Amazon, and they look the same, but have different brand names or prices, 90% chance the two items are the exact same item, made in the exact same Chinese factory, by teh exact same Chinese workers, just packaged differently for different companies. The only advantage to buying something for more money, or from a brand, is that some companies have workers over there insuring quality control for the product with their brand name on it...but I doubt that is the case for small money items. FWIW, I have bought the Cree Ultrafire flashlights for $4 on Amazon, about 5 of them, and have been very happy with them...have one in my pocket right now, actually. 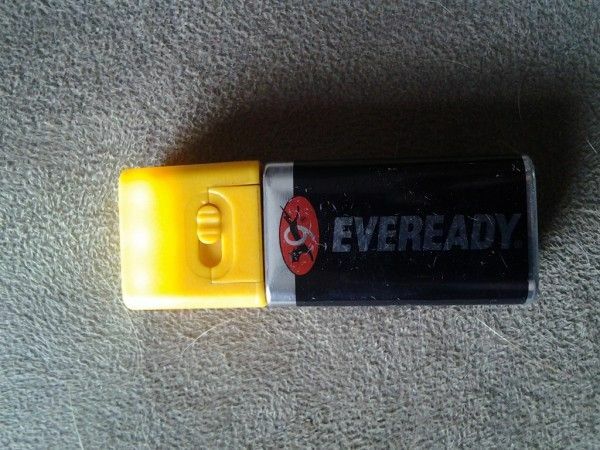 I have bought some solar keychain LED lights, and some USB rechargeable lights....$1.50 items from China, and they have all worked flawlessly. I would say, if it looks the same, buy the cheapest one, because it is most likely the exact same product. Personally, I'm not a big flashlight guy....instead of spending $50 or more on a fancy flashlight....I spend $25 and have a dozen cheap flashlights all over the place....and I have been happy with all of them, especially the Ultrafires. EDIT: I have spent some money on some NEBO lights, and they work great. That's the only brand I have any real experience with that I spent more than $5 on a light. Yup. I have never seen a block lite. I googled it as I was making this post. I did however know about the pak-lite. As soon as I saw the 9V and 6 L.E.D. 's I knew I had to try it out for that cost. Plus it was blinding, as I did the redneck check by, shining it into my eyes. Moxemdeliph. I would think a good headlamp would be ideal for that situation. These are waterproof but I do not believe they float. I just stumbled a upon a good source for these lights. I was searching for a stonebridge lantern and found these 2 for $9.99. That isn't bad considering they are now $3.99 each at the gas station, if they have them. "Speaking as someone in the lighting business, I believe all LEDs are imported from China. Doesn't matter what company you buy from"
Cree is the dominant LED manufacturer and they are in North Carolina. They do operate plants in China but the product is designed in the USA. Okay folks!!! I am now beyond excited. 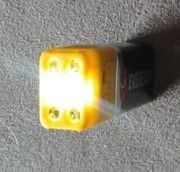 Atomic beam now has a crazy bright led for a 9V!!!! I will be picking up a couple. Now that this has come up again, it has renewed my interest in getting a 3D printer one day. There are so many cool little plastic things one could make with a 3D printer.